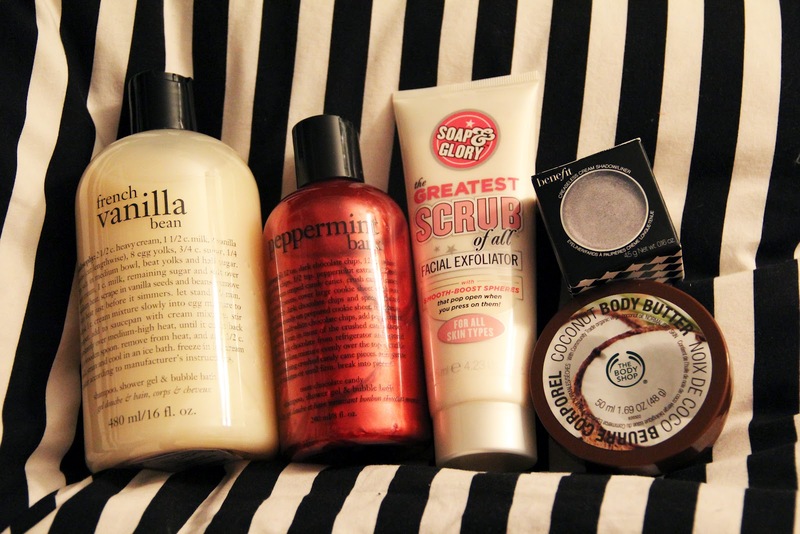 So this a small collective Sephora Haul, between when I went to the actual store and my recent online order. Most of my online order was for my swap with Megan though! I just picked up a few things that caught my eye! Nicks mom uses Philosophy, so I have always been very curious as to how great the products are. 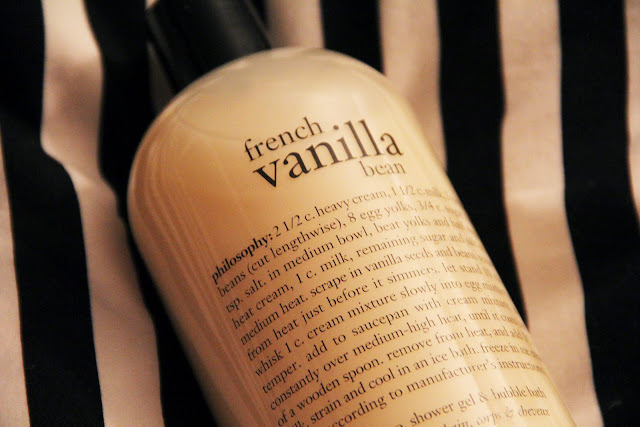 So the day I ventured past the makeup in Sephora I saw this and smelled it, and had to buy it. I was kind of disappointed when I got home to see Ulta has 3/$33 on them, when I paid $16 for one. But It was all worth it for this great scent. This is one I ordered online, I'm not sure why they still have Christmas scents still available. But I'm not complaining. I am not going to use this right now, I will be saving it for after/around Thanksgiving. 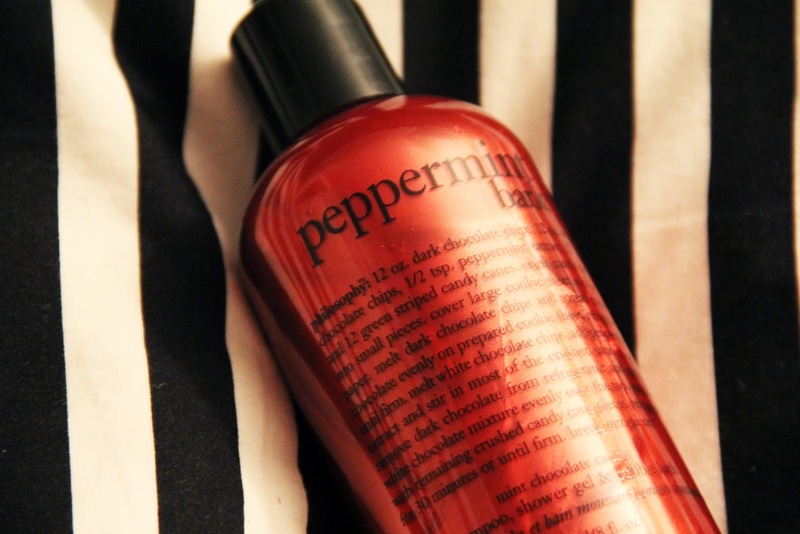 It smells just like Andes Candies, chocolate and mint! I was in the market for something new for my face. I feel like my cleansers and soap are just not cutting it. 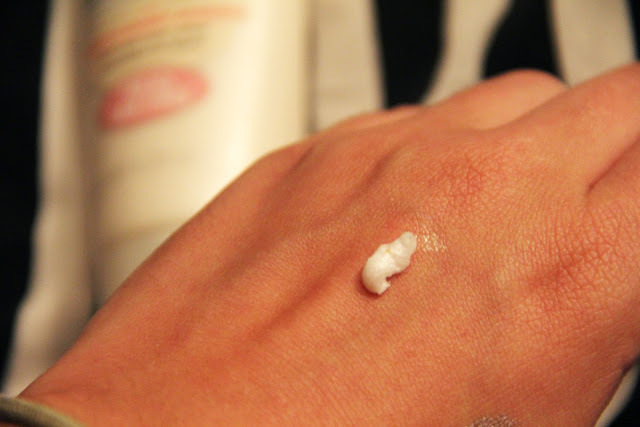 I wanted something that was a scrub with a very light, small grainy texture. I figured why the heck not, it smells good and it feels great on my face. It gives me a nice deep clean. This was my freebie on my Sephora order for spending over $25. 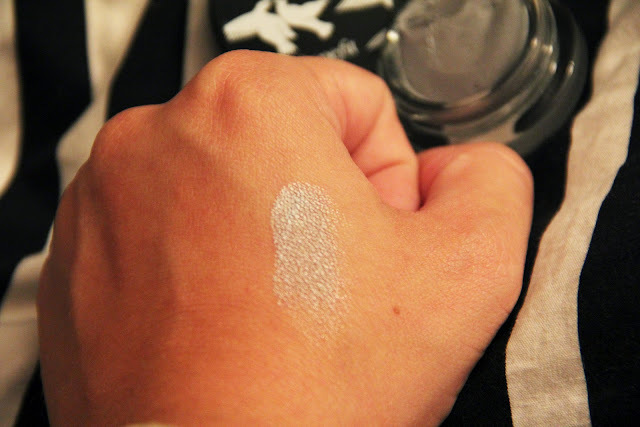 It is a Sephora Exclusive of Benefits Creaseless Cream Shadow in "Silver Spoon". 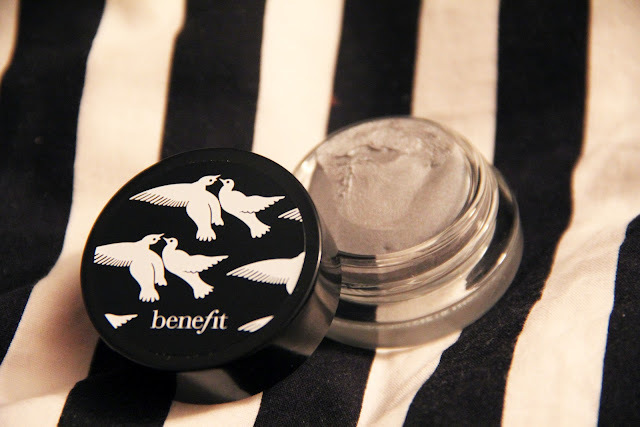 Benefits Cream shadows are my favorite, and they are around $19, so getting this for free was a great added bonus! Plus, I love the color. 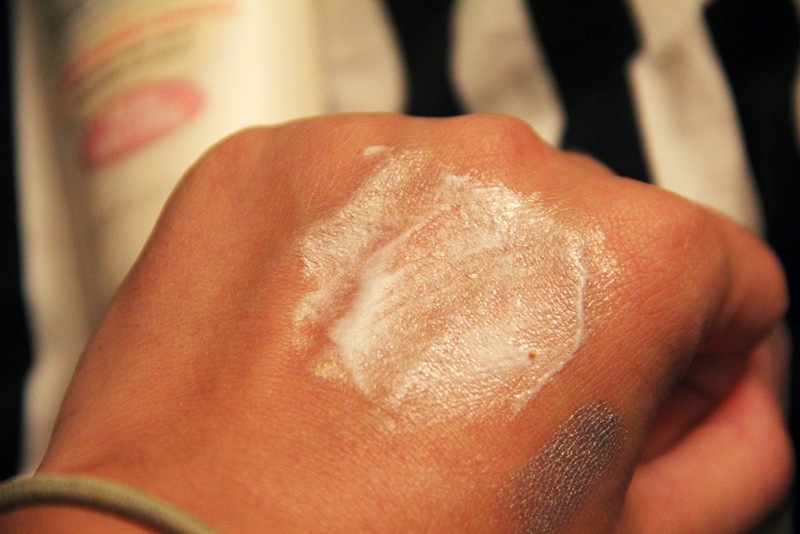 Will be great for the darker shadows I wear in the fall! I have heard SO much about these on the interwebs. But I have never tried. 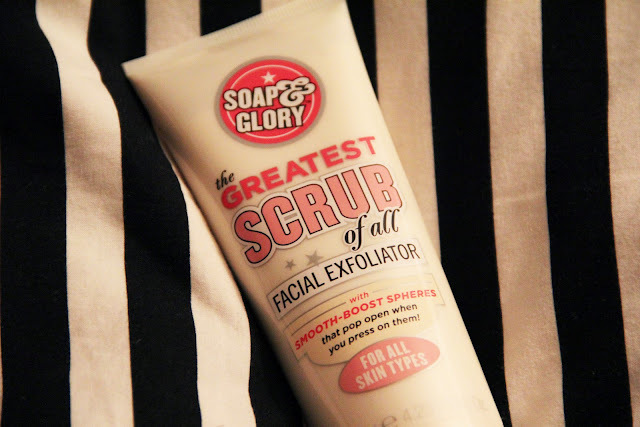 I have been quite addicted to my Soap and Glory Body Butter though, so I figured I need to try something that has a less girly scent. And they one takes the cake. It smells like sun tan lotion, the beach, and reminds me of summer. It is also a lot thicker than any other body butter I have ever tried. 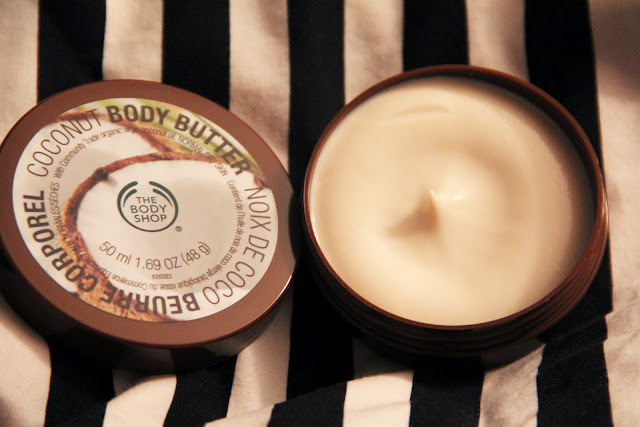 It will be put to much use :) Does anyone have any other scent recommendations for The Body Shop Body Butter line? We are all girls here. I have a recent summer obsession with lingerie. Mainly from Victorias Secret. I also have a rule about buying things link undies and sorts, they must be good quality, so if I have to spend a bit more on something, I'd rather for the quality. I have had the same bath robe for ages, well 2 years, it is from Aerie, it was $40. But last time I was at the mall I had to pick up this hot pink robe from Victorias Secret. It is so silk and lush, it was so worth it, I can't wait to spend the next year or two with it! What have you been obsessing over this summer?! You have a lingerie obsession, too!? Why don't we live closer!? I have this thing for Victoria's Secret. I use to buy the $10 off, no minimum, coupon on eBay and then go to VS everyday and get something for free. Haha, I'm addicted. I WISH YOU WHERE MY NEIGHBOR! I love victorias secret. I should seriously buy stock in it. I can't even imagine my lifetime spend total there! VS is the best! It is my one and only love! Philosophy is awesome! They have the best smelling soaps and things! I know! it's so retro chic!